The addition of two new LPF board members helps to strengthen the Foundation's vision as well as the future of the loss prevention/asset protection industry. The Loss Prevention Foundation (LPF) announced the selection of its newest board members to assist in governing and providing strategic direction for the Foundation at its recent board meeting in Savannah, GA.
Each of these new board members has openly expressed their support for industry-specific loss prevention certification. They are personally committed to obtaining the LPC designation and have supported their companies approving the LPQ and LPC as a preferred requirement for all job postings. It is clear that, each of them has a passion for improving our professional perception as an industry and feel professional certification is a critical step in achieving that goal. LPF is also proud to recognize that LPF board member Mike Lamb, LPC was recently promoted to Vice President, Asset Protection & Safety for Walmart. 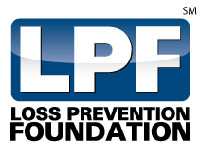 About The Loss Prevention Foundation: The Loss Prevention Foundation (LPF) is a not-for-profit 501 c (6) organization founded in 2006, by industry leading professionals to serve the loss prevention /asset protection industry. An international leader in educating and certifying loss prevention and asset protection professionals, LPF is responsible for administering the industry’s only internationally sanctioned LP credentials: LPQualified (LPQ) and LPCertified (LPC). With 24/7 online educational resources and a professional membership program, the LPF is able to educate the industry like no other organization of its kind, in the world. LPF is also focused on driving more talent to the industry from colleges, universities, military and law enforcement through its Academic Retail Partnership Program and its Hire A Vet Program.